We went on a blind date to see a movie at the Cameo! Joe and I were a couple and my sister Cynthia (Holmes) and Randy Walker were another contestant. I was so mad because they BEAT US! In front of all my peers! It was a lot of fun back then. 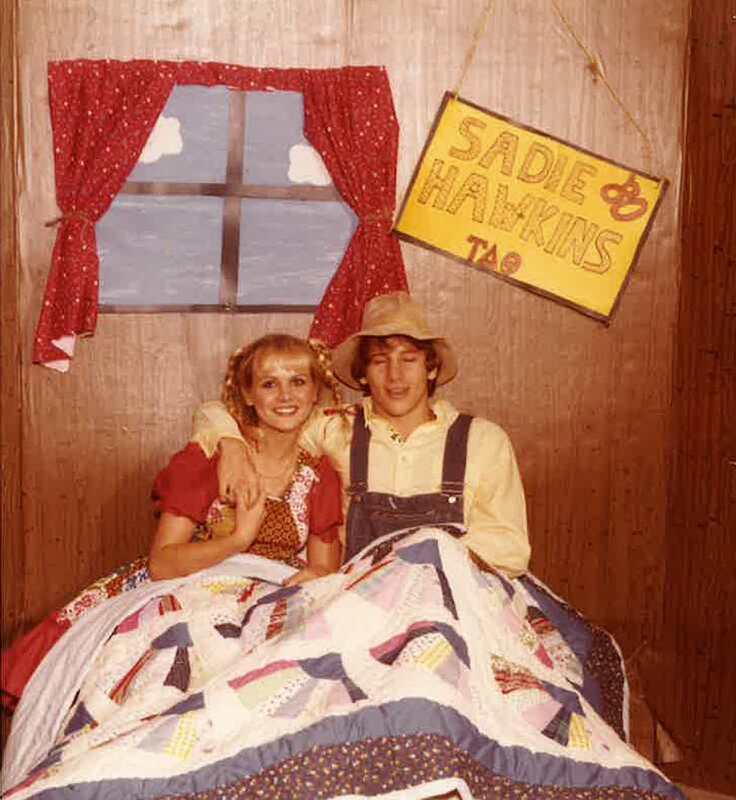 I still have my Sadie Hawkins picture and keep it in my office. The Intramurals sports were a big, big deal and we took winning seriously. Also, we loved the Phi Lambda Chi competitions with other universities. I was a Phi Lambda Chi Little Sister. Such fun memories of a wonderful time in my life. Of course I can never mention the trip home from the Monticello game. We have gone to DOC’s in Garland City for 30 years. We went hunting, fishing, and l loved watching Joe play for the Mulerider Basketball Team. There were so many dances back in the 80’s at the Bruce Center. We started our lives together May 23, 1981. However we started dating in 1979. So, 35 years this year and 2 years to grow on. Loved every rollercoaster and more. Joe played Basketball and was a Phi Lamb, I was in Theater, and actually had the lead role in , “LuAnn Hampton Laverty Oberlander. I was Miss SAU, Miss Southern Belle, Phi Lamb Little Sister. I worked at the Post Office and I had a mo-ped. Joe and I would ride around on the mo-ped. We also went frog-gigging with some friends at one of the SAU ponds.